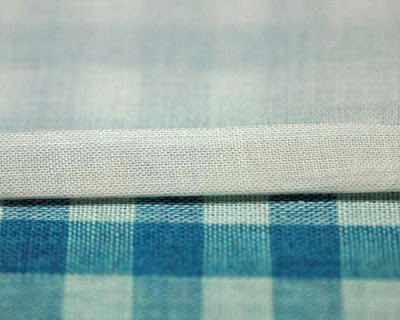 Fold over approximately ¼” of edge of fabric and press. 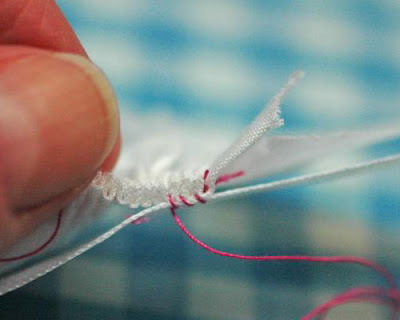 Thread needle with a new thread and knot. 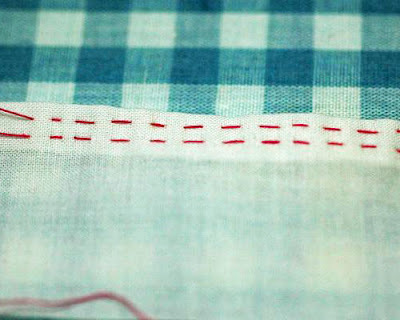 Sew in consistent rows again, each stitch directly underneath the stitch above it. 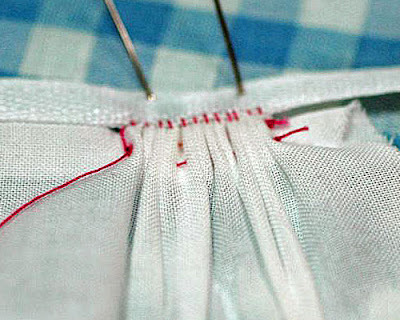 Sew the front folds to the waistband or dress top by taking one stitch per fold. 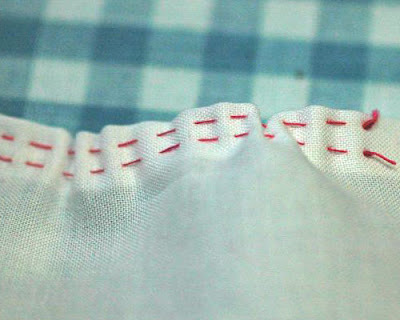 You can even the folds as you sew. 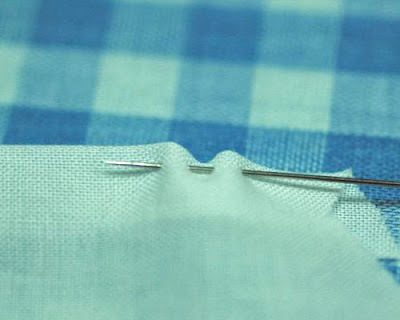 Fold the waistband up and press the folds in place. 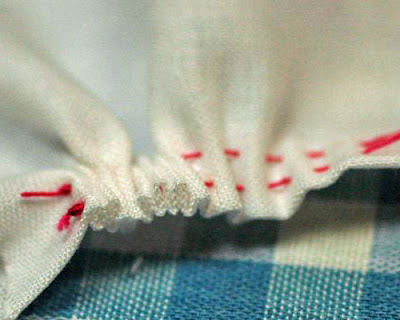 The front will be flat and the loose folds will be toward the body.